Becoming a Florida Bar board certified attorney is certainly no easy feat. According to the Florida Bar, board certification recognizes attorneys’ special knowledge, skills and proficiency in various areas of law and professionalism and ethics in practice, which suggests that there’s additional pressure imposed on lawyers who aspire to become board-certified. With so many facets of the board certification process weighing on attorneys’ knowledge of the law as well as their history of professional ethics, it’s important that Florida-based attorneys have access to resources to guide them. One such resource can be found via the Florida Association for Women Lawyers (FAWL), whose Palm Beach County Chapter recently announced the launch of a new program called “Board Certification Boot Camp.” This “Boot Camp” was designed to educate women lawyers on the benefits and criteria for becoming Florida Bar board certified. According to the Town-Crier Online, after conducting research on gender statistics with the Florida Bar, FAWL chapter leaders learned that the gender gap for board certification in the state of Florida is 80 percent men and only 20 percent women. The discovery of this significant gender disparity is what led to the FAWL’s creation of the “Board Certification Boot Camp,” which will consist of a series of educational programs designed to provide more information about how to become board certified, as well as to assist qualified female lawyers in their application process. “Our chapter is committed to developing innovative programs for our members, and the Boot Camp program is the latest example of these efforts,” FAWL President Lindsay Demmery remarked. Since its founding in 1951, FAWL has been committed to advancing women in law by providing more opportunities and advocacy initiatives to help them achieve successful careers in the legal profession. The newly developed “Board Certification Boot Camp” certainly aligns with the ethos of the organization, and will hopefully contribute to more women lawyers becoming board certified in the state of Florida and beyond. 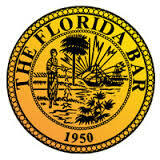 Florida Bar Board Certification – What does it mean?